Because our insect pheromone products are nature-identical chemical substances, their effectiveness can be influenced by external factors such as direct sunlight, wind and/or heat. 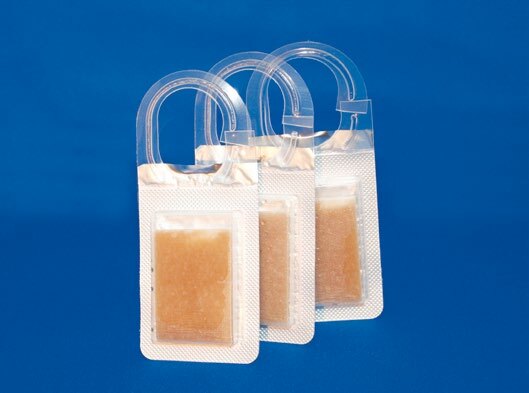 At Pherobank, we are continuously improving the efficiency of our products. Nevertheless, choosing the proper dispenser (lure) type is essential for achieving optimum results. 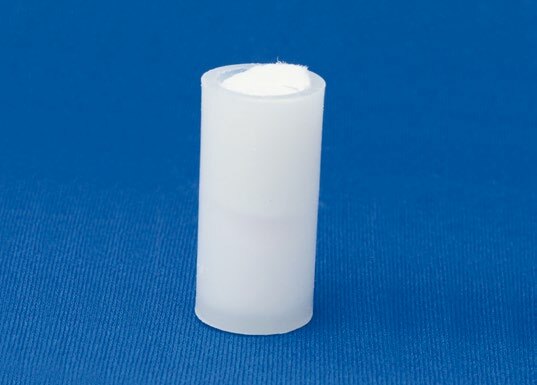 For most pheromones, a natural rubber dispenser (nr) is best; for others, we recommend a different type of dispensing system. In collaboration with other research groups, the Pherobank team has developed and tested various types of dispensers for each insect species to provide the best product possible. 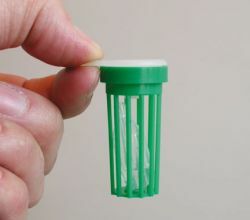 Biodegradable polymer dispenser, developed specifically for Rhynchophorus ferrugineus. 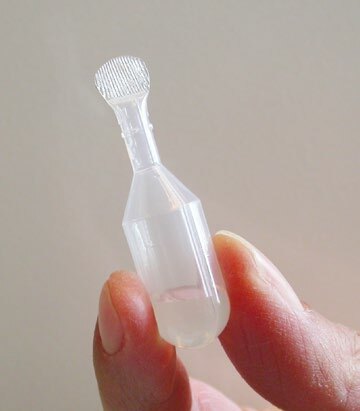 Kairomone lure, capable of evaporating larger quantities of volatiles consistently and at a higher rate (zero order release). 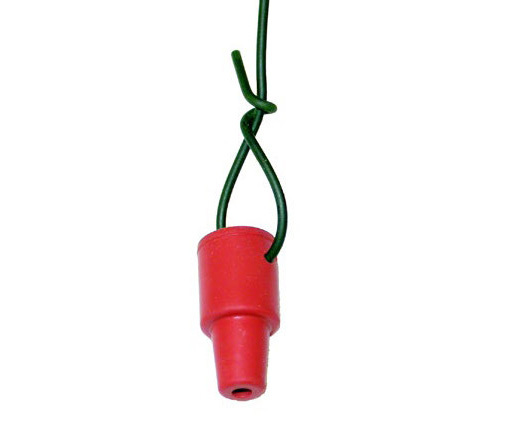 Pheromone lure composed of red natural rubber and appropriate for most pheromones. 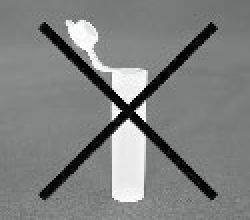 The nr type lure must not be pulled over another object unless explicitly stated otherwise. 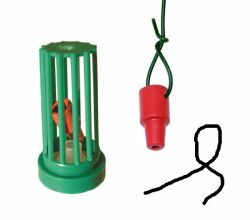 Larger version of our red natural rubber lure, designed specifically for Cydia pomonella. Pasteur pipette lure composed are used for applications that require larger quantities of pheromones and/or kairomones. 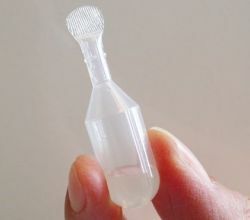 Vial-type lure composed of a permeable polymer and used for high doses of pheromone and/or to prolong the life of the dispenser. Please note that these lures must be kept closed at all times. 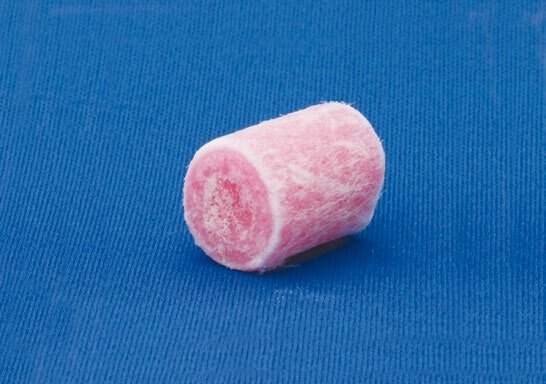 Pheromone lures must be stored in their original sealed pack- aging preferably in the freezer (below -20°C) or refrigerator (4-6°C) until use. 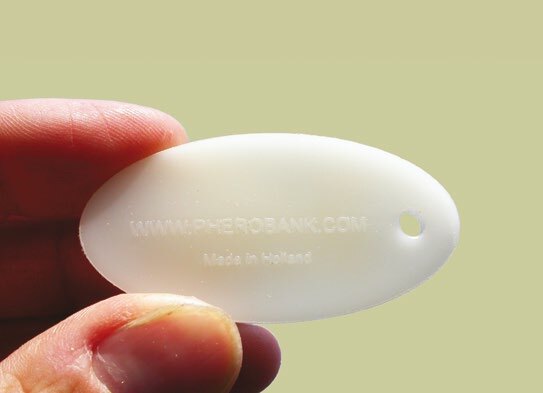 When stored properly, Pherobank pheromone lures are guaranteed for one year. 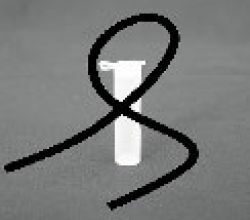 Before opening, allow the pheromone lure to reach room temperature in its original packaging. 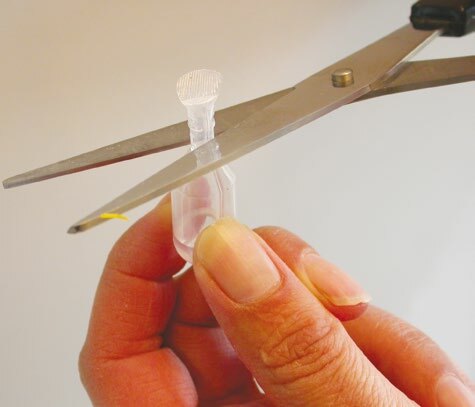 When handling pheromone lures, we recommend washing your hands and/or changing gloves between one spe- cies lure and another to avoid potential cross-contamination, which may decrease the effectiveness of the lure. 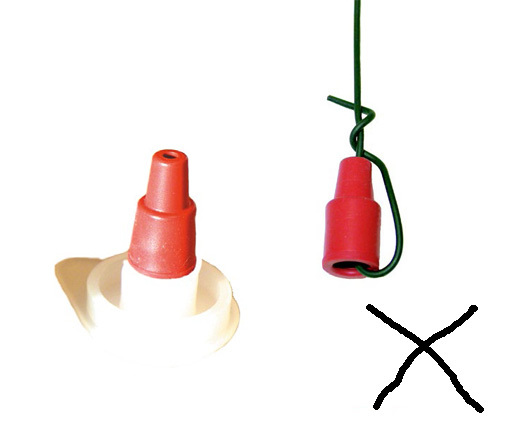 Correct and incorrect handling of the white polyethylene vials in insect traps. Handling of a pheromone dispenser, the picture on the left shows correct handling.